I am a little late with this, as Malossi already announced these items at Eicma last year. 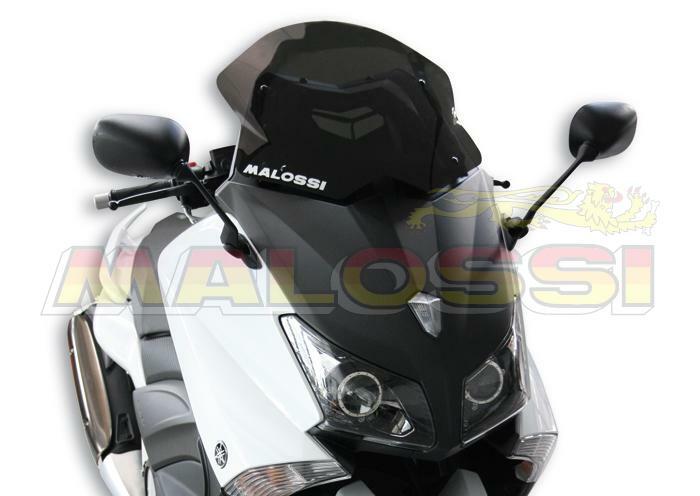 However, I hope you still appreciate the newness from Malossi for the best Maxi Scooter out there which includes a ne muffler, an Overrange Kit including a new variator and rear pulley, a brake hose kit, new brake pads and more after the click! 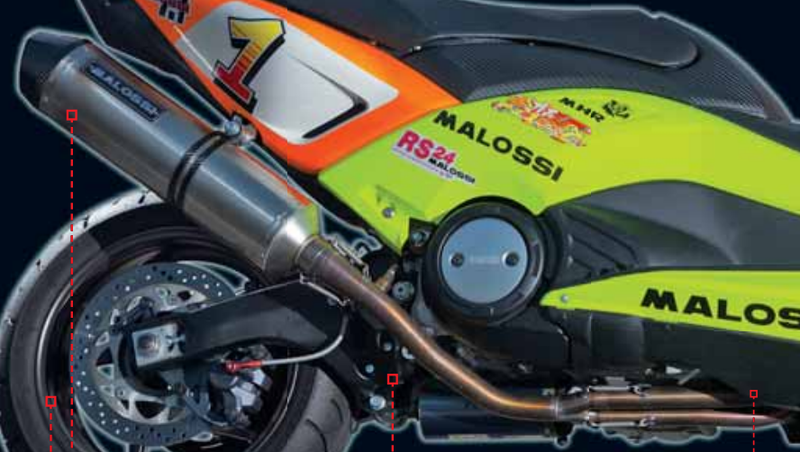 Malossi’s new racing muffler is called the Malossi Wild Lion (which refers to the lion in Malossi’s company logo). The Wild Lion is an homologated exhaust made from aluminium and titanium. It features a stainless steel silencer cap with an engraved Malossi logo. The best feature however remains the street legal homologation. Similar to the 50cc exhausts this exhaust can be legally driven on the street and for the extra bit of performance the silencer can be modified and thus derestricted. The muffler will be available now for about 700€. The next item is the Malossi Over Range kit which is basically consisting of three new items (which are also available separately): The updated Multivar 2000 MHR, the front pulley Ventilvar 2000 and the Torque Driver rear pulley. The Multivar 2000 MHR features a widened gear range and a more linear shifting performance. Of course the variator is made from high quality stainless steel. 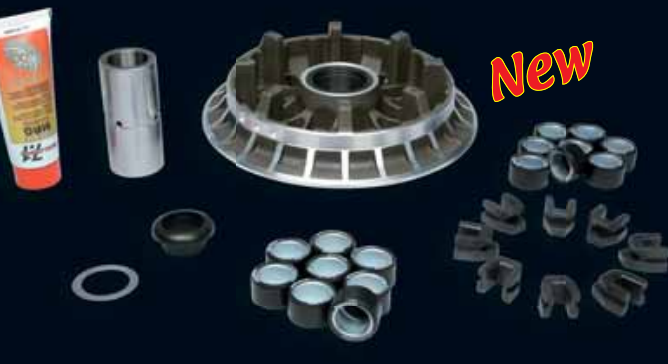 The piece is machined, hardened and offers diamond cut ventilation openings. This is probably the most advanced variator on the market right now and a huge achievement by Malossi. Surprisingly the variator can already be bought at your Malossi dealer at just 200€. The second item is the new Torque Driver rear pulley. It is made from nitrided steel and improves acceleration by adjusting the gear shifting more precisely at the peak horse power rpm. Available now at about 240€. The third and last item of the all new Overrange Kit is called Ventilvar 2000 and picks up on the successful and cheap front half pulleys offered for 50cc scooters. The angle of the front half pulley is optimised to match the angle of the variator and thus allows for a better performance. The surface received a special treatment in order to improve belt traction and the diameter was increased in order to match the variator diameter. The Ventilvar is available at about 70€ now. The whole Overrange Kit consisting of all the components (plus some extras) is available at about 500€ from your local Malossi dealer. The new Racing Spring Set for the clutch made from carbon hardened steel allows for an up to 500rpm higher engaging engine speed. Three different sets for different engaging speeds are available soon. Next item is the MHR Brake Hose Kit. This kit is a braided steel brake hose that improves the brake performance by decreasing fading. Malossi states that the kit is of aeronautical quality and it is yet to be released. MHR synthetic brake pads are now available for the front and rear brakes. MHR brake pads have proven to beof a very high quality and increase performance and safety. At about 20€ per set they are most likely even cheaper than the original spare part from Yamaha. The Spring Preload Adjustment Kit allows for an individual adjustment of the original fork. It is made from 6000 series aluminium and allows for an adjustment in the range of -5mm to +25mm. It is available now at about 150€. 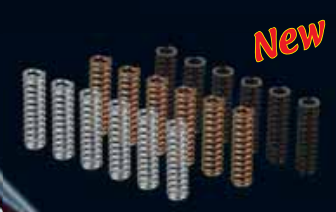 The new VFilter improves air flow and helps keeping the variator cool. Available now at about 40€. The MHR windscreen gives the T-Max the sporty look an is available now at about 70€. How do you like the new product line up from Malossi for 2013? Let us know in the comments! I write this blog and love scooters! The Overrange kit usually improves acceleration and top speed (even tho both are just slightly increased, but it’s and easy improvement). There is no affect on reliability except that the rollers need regular service (not sure what the service intervals for the tmax are for the rollers but with the overrange I’d check every 3/4 of this interval). Also the clutch springs (which are harder) and the clutch pads (due to the harder springs) wear off slightly faster but that’s not a big concern.